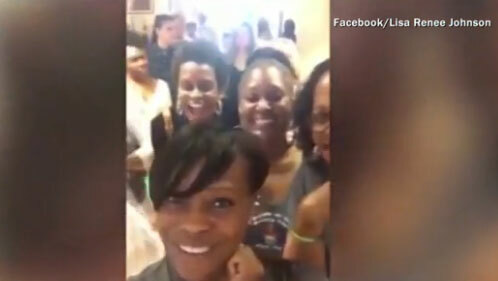 SAN FRANCISCO-- A group of mostly black women who filed a racial discrimination lawsuit against the Napa Valley Wine Train have settled the case for an undisclosed amount. The group's attorney, Waukeen McCoy, told the San Jose Mercury News on Monday the two parties reached a settlement last week. He says the settlement amount is confidential. The 11 women, 10 black and one white, said they had gathered on the train to discuss a romance novel. But before the train left the station in Napa, a train employee asked them to quiet down because they were offending other passengers, the women said. When the train reached St. Helena, they were escorted off the train into a dirt lot where police were waiting, according to the lawsuit. The women sought $11 million in damages. The CEO of the company issued an apology a few days after the incident. "The Napa Valley Wine Train was 100 percent wrong in its handling of this issue," CEO Anthony "Tony" Giaccio said in a statement. "We accept full responsibility for our failures and for the chain of events that led to this regrettable treatment of our guests." In October, CBS San Francisco reported that 35 people traveled from Oakland to wine country on what was called "The Wine Soul Train," a response to the Napa Valley Wine Train incident.